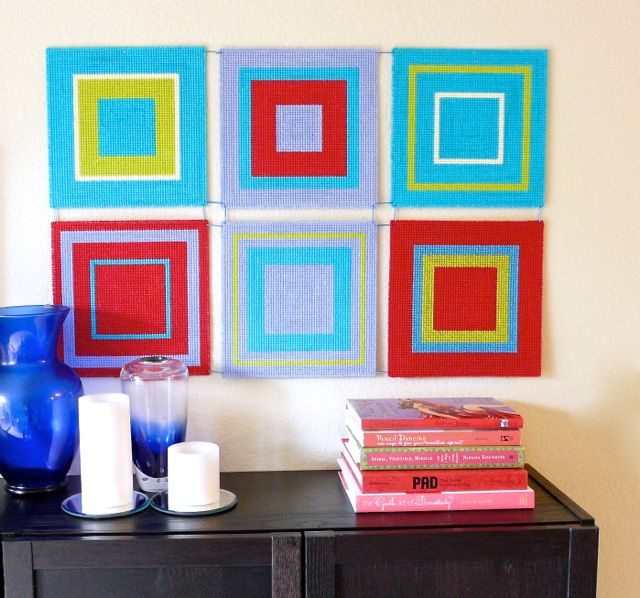 Add a pop of color to an empty wall with this DIY Modern Wall Hanging. I love these colors, but there’s so many great cotton yarns to choose from. And here’s the best part – it’s made of plastic canvas and paper clips! Amazing.